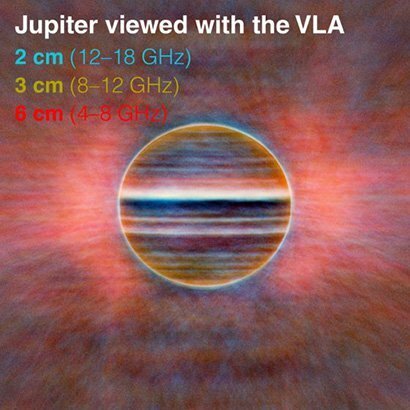 After a long time astronomers succeeded under a thick outer layer of clouds, better to see the atmosphere of Jupiter, using a radio telescope “VLA”, located in New Mexico. Scientists have managed to penetrate deep into the atmosphere of Jupiter, about 100 km. This detailed approach inside can to provide enough detail to map the movements of ammonia. So, with good calculations and estimates can discover and explain more things about Jupiter. Such as the Great Red Spot – a storm which raging in the last 400 years. Internal view scientists secured by observing of wavelengths of radio waves, which are present in the atmosphere of Jupiter in a certain period. And with the help of new algorithms and calculations they have turned them into images. These beautiful blue, gold and red colors are reflected from wavelengths that have been detected on the planet. They created a three-dimensional image of ammonia gas in the atmosphere of Jupiter, which detects movements up and down in the turbulent atmosphere. The made maps clearly shows hot spots or areas where they seem brighter and where the level of ammonia is active. This suggests that these areas can play a role in the formation of clouds, which are often observed in the outer atmosphere of the planet. 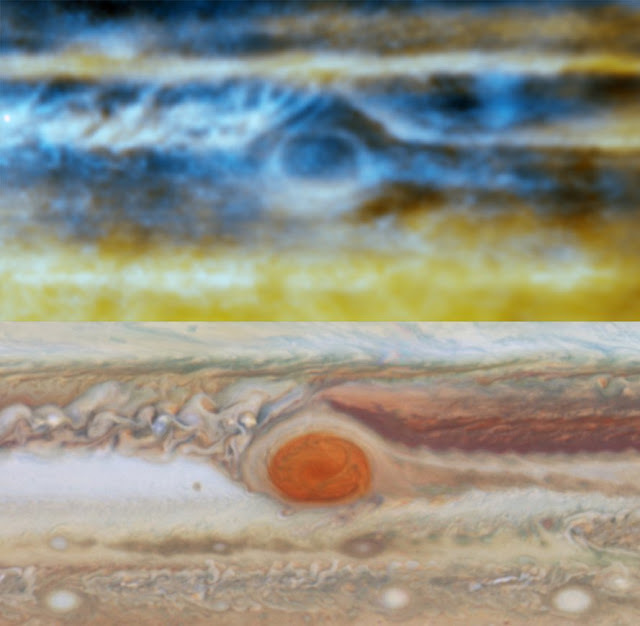 This new type of map and the new modern techniques can further to help and on other astronomers to better investigate for the atmosphere of Jupiter. The biggest help for this research comes from the spacecraft “Juno” of NASA. Where from next month need to arrive on Jupiter. There would have to make a series of experiments to provide data for scientists and new details about atmospheric composition and gravitational fields of Jupiter.